In recent months, we have seen a sharp increase in activity from individuals who falsely claim to be agents of the Illuminati. They appear in droves on social media websites like Facebook and Twitter, spreading misinformation about our beliefs and often demanding money in return for Illuminati membership. It is important for all citizens to remember that the Illuminati does not accept membership fees or donations. Anyone who claims otherwise is false. 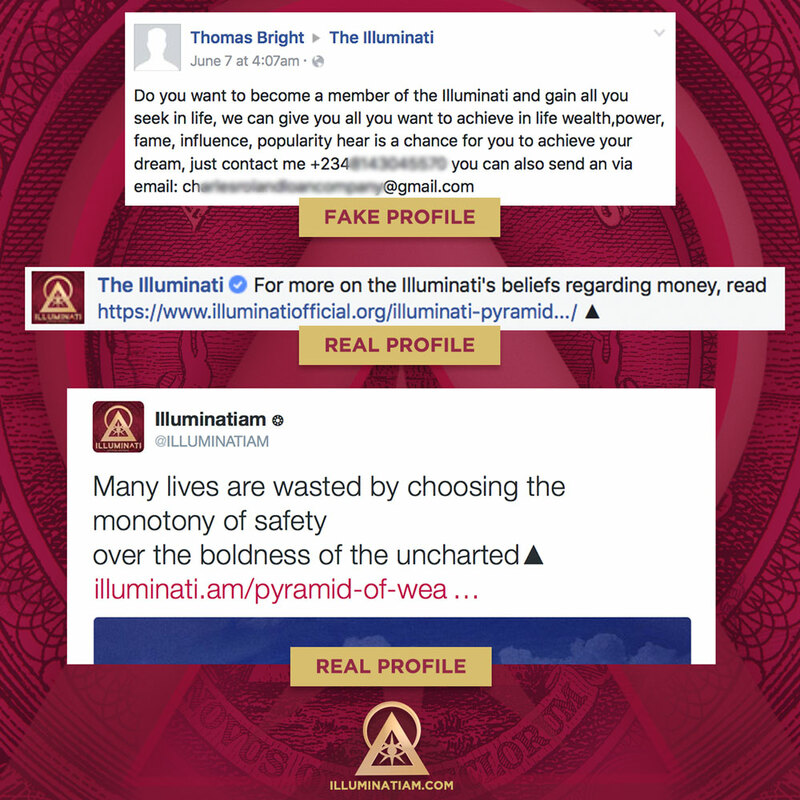 In an effort to connect with citizens, the Illuminati authorized official profiles on many social media websites, managed by our Department Of Citizen Outreach. This includes @ILLUMINATIAM on Twitter and Facebook.com/ILLUMINATIAM, among others. We do not maintain any profiles that are not listed at illuminatiofficial.org/verified. 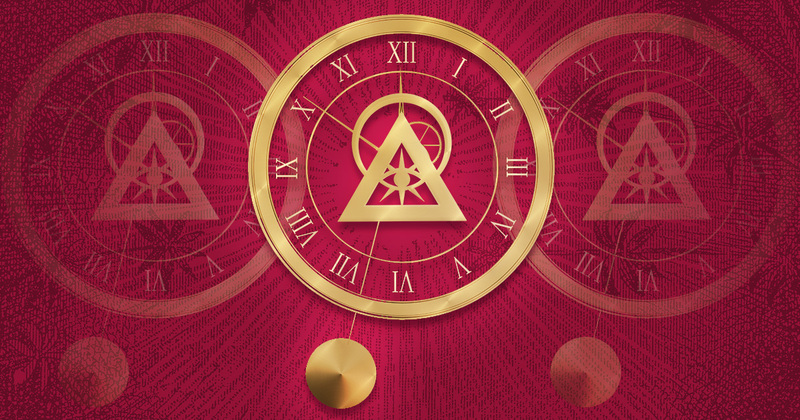 However, there are thousands of groups who use the Illuminati’s name online, and though they are not officially affiliated with our organization, it is our policy to allow their operation as many serve as stepping stones that lead the lost to the Light. It is also our policy to allow groups that voice dissent against us to continue operating – questioning and doubt are always encouraged and are helpful in keeping our organization focused on the needs of all people. We only close accounts that begin harassing our members. If an account harasses you or others, we encourage you to file an abuse report to the social media website they are using. For your protection, we ask that citizens refrain from posting personal information on our public pages or in comments on our websites. This includes your email address, phone number, mailing address, or other means of communication. Scammers search our pages for personal information and use it to pose as Illuminati agents. To contact the Illuminati, the best method can be found at illuminati.am/contact. Remember: the Illuminati will never contact you via WhatsApp, Gmail, Yahoo, Hotmail, or any other address that is not listed at illuminatiofficial.org/verified. The Illuminati will never ask for payment for membership. The Illuminati does not use Western Union or Moneygram, and citizens should never use these services to send money to anyone they do not personally know. 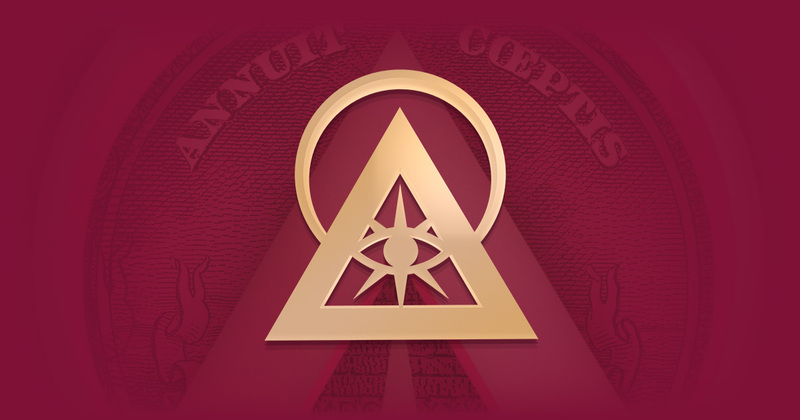 Any disbursements made to Illuminati members are processed through legitimate banks only. The only authorized distributor of authentic Illuminati items is the Department Of Distribution (DODIS). 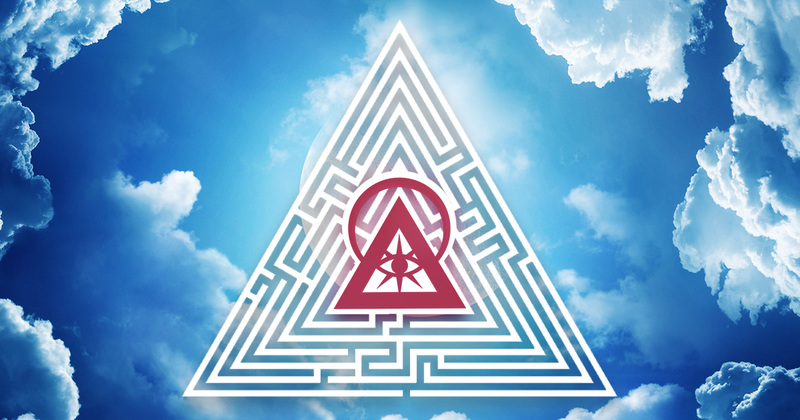 As of June 2016, the Illuminati has only authorized two publications: the Illuminatiam Testament and the Illuminations. Many online PDF versions of our publications have been altered from the original and may be missing important pages or chapters. To ensure the authenticity of your edition, only download our books through the links above. While our agents continuously take action to suspend fake accounts – closing over 400 fake pages last month – new pages can be created to replace them in a matter of minutes. 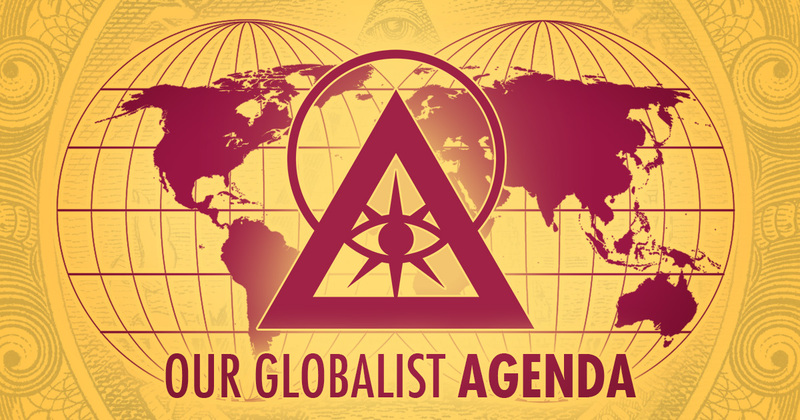 As the multitude grows and more citizens seek the truth about the Illuminati, even more unscrupulous individuals will attempt to profit from our global movement. We encourage all citizens to be wary of these tactics and to take steps to protect all who follow the Light. Share this message with your family, friends, and associates to protect them from predatory tactics used online.